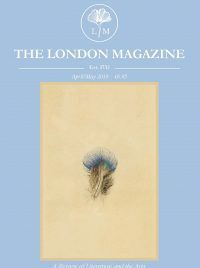 We want this tradition to continue, and given the renaissance of new independent publishers, we started a spotlight feature on our website to promote the best of innovative contemporary writing across the UK and beyond, and to celebrate the hard work of the individuals that publish this work. Our first feature was on the brilliant series of pamphlets by Rough Trade Books, while our second was on the ridiculously prolific Manchester radicals Dostoyevsky Wannabe. This, our third edition, focuses on Influx Press, who while having been publishing collections and putting on events since 2012, have built a strong reputation in the last four or five years for publishing consistently excellent, zeitgeist-capturing books. Influx Press is the brainchild of the North East London-based writers and editors Kit Caless and Gary Budden, who have now been joined by the editor and short story writer Sanya Semakula (LossLit) as Assistant Editor. Kit writes regular features for The Quietus and Vice, and is the author of Spoon’s Carpets: An Appreciation (Vintage/Square Peg 2016), while Gary is the author of the collection Hollow Shores (Dead Ink), and the novella Judderman (Eden Book Society). Together they have been publishing some of the most reliably excellent books of this weird and turbulent decade. Many of the books that I first came across through Influx — Imaginary Cities by Darran Anderson, Marshland by Gareth E. Rees — were what you could roughly describe as books concerned with place, geography, the experience of cities, and their peripheries. But these were books about cities that were unlike any others I had read before. Marshland: Dreams and Nightmares on the Edge of London veers between folklore, memoir and weird fiction, doing for the history of Hackney Downs what David Seabrook did for the seaside towns of Kent. This is turned on its head however with illustrated modern gothic autofiction that weaves its way through the narrative, allowing the book to add a new dimension to psychogeographical writing. Imaginary Cities meanwhile took Italo Calvino’s mythical exploration of Venice in his classic Invisible Cities as a philosophical starting point to look at the symbiotic relationship between fiction and reality within the construction of cities, from the 13th century writings of Marco Polo, to the comic series Judge Dredd, via the ideas of the Situationist International. Encyclopedic, yet anecdotal, and vigorously engaging, Imaginary Cities changed the way I think about more than just cities, and is a truly phenomenal book. But while writing about place and cities still remains at the core of the books that Influx Press publish, in recent years they have taken their appreciation of cutting-edge ideas into other literary suburbs, where they have really started to excel and impress. Perhaps most notable so far has been Eley Williams’ sublime short story collection Attrib. and Other Stories (2017), which won both the Republic of Consciousness Award and the James Tait Black Prize for fiction last year. Comprised of 17 micro-dramas that play with language and sound in a completely unique way while also being at turns hilarious, absurd and emotionally affecting, it is an absolute must-read for anyone remotely interested in the contemporary short story. 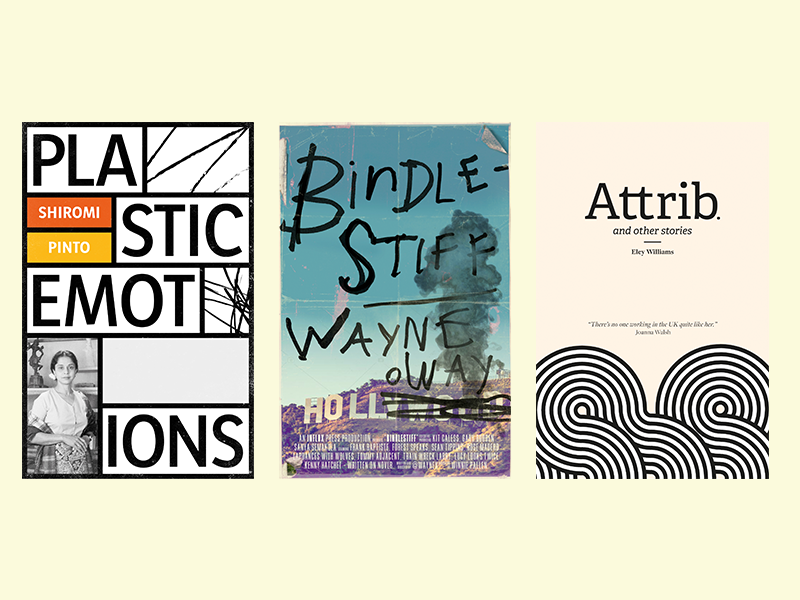 Also standing out among the more recent books are Clare Fisher’s short story collection How The Lights Get In, and Jeffrey Boakye’s Hold Tight: Black Masculinity, Millennials, And The Meaning of Grime. What sets Influx Press out in my mind however, is that regardless of the type of book in question, the quality of the writing in the publications of Influx Press publish is so consistently high. The passion that Influx’s small team have for fresh perspectives and great books is evident in everything that they produce. They are one of the presses that I instinctively trust, and whose books I always look out for. Of the books already mentioned I would recommend Eley Williams’ Attrib. and Other Stories for fiction, and Darran Anderson’s Imaginary Cities, which is something of a masterpiece of creative non-fiction, and has breathed new life into ideas originally explored by the Situationist International in the 1950s. Outside of that, the 2016 collection A Guide to Unreliable London is also great — comprising 23 stories that explore the parts of London rarely written about, from Brentford to Clapham — while Paul Scraton’s Ghosts On The Shore: Travels Across Germany’s Baltic Coast serves as a fascinating exploration of the folklore, identity, politics and at times tragic history of Germany’s northern coast. Just released last week was the much-anticipated Bindlestiff by Wayne Holloway, a dystopian novel set in a Hollywood of 2036, which has been described by Krishnan Guru-Murthy as “A devastating vision of what America is becoming, wrapped up in a compelling and compassionate fable of what it is today.” Which sounds a good to us. Coming up soon are the novel Mothlight by Adam Scovell, an exploration of Berlin titled Built on Sand by Paul Scraton, and Plastic Emotions by Shiromi Pinto, a novel based on the life of Minnette de Silva, forgotten feminist icon and the first female Sri Lankan architect. They have also started a really great Patreon page where you can support them from as little as £1 per month, which gives you access to a bunch of exclusive content, with incredibly good value book subscription packages available the more that you pay. Buy as many of their books as you can, you can’t really go wrong. For more information on Influx Press, visit https://www.influxpress.com/books/.